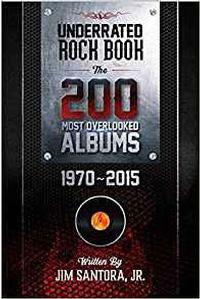 Underrated Rock Book: The 200 Most Overlooked Albums 1970-2015 written by Jim Santora, Jr. The premise is simple: list 200 albums that are under-appreciated. When Jim Santora started the project he set some ground rules. They had fall into the time period named in the sub-title. The list would only include one album from each band. All the albums had to be rock music (but there is a wide range within that one). Will you disagree with this book? Probably, and I hope you do. The book is to be used as a guide to perhaps go back and listen to artists you are not familiar with. Or that artist you hated 20 years ago. Time for a second spin? Debate with your friends and compare notes. It's a book I put together to have as a discussion piece. The book absolutely succeeds on that level and more. I found myself agreeing with some of the choices completely. White Witch's A Spiritual Greeting is one of those. Led Zeppelin's Presence is another. It is probably my favorite Zeppelin disc, but a lot of people really disregard it. Kiss' Music from The Elder is another. Again, it's my favorite from them, but even the band have tried to distance themselves from it over the years. I also found myself reminded of some bands I hadn't thought about in years and some albums from acts I like that I have never heard. Among those I hadn't thought about in years was Mama's Boys. I had one of their albums, but not the one listed in the book. I remember really like it a lot. Then I saw them open for Ratt and fall really flat in their live performance. For me the luster wore of the disc at that point, and I fully forgot them over the years. I'm glad this book reminded me of them. This isn't the kind of book you'll probably want to read from cover to cover, but you absolutely could. It's light reading in that it flows well and is a quick read. It's not such light reading in that it's likely to get the wheels spinning in your head sending you off on a tangent and pulling you out of the book. Again, that's the point as he suggests you have a computer or other device for playing music mentioned in the book handy as you read. Santora really covers all the bases in many ways. More than just a simple list he talks about each album a bit, describing the highlights and sound, the reasons it might have been missed by fans and more. At the end he includes a number of other lists including "most underrated songwriters" in the book, "most underrated bands" and a list of the choice track from each of the albums listed. I also agreed with his first pick for underrated band - King's X. I found myself thinking that there were some artists I would have liked to have seen in the book that were left out, but he actually covered that, too. There is a list of acts that almost made the book, and the ones that instantly came to mind for me were all in that list. 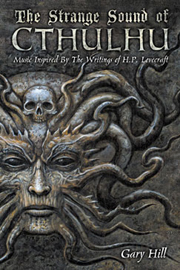 Santora said that he might visit them in a second volume. I hope he does. I'd love to read more on this fascinating subject.